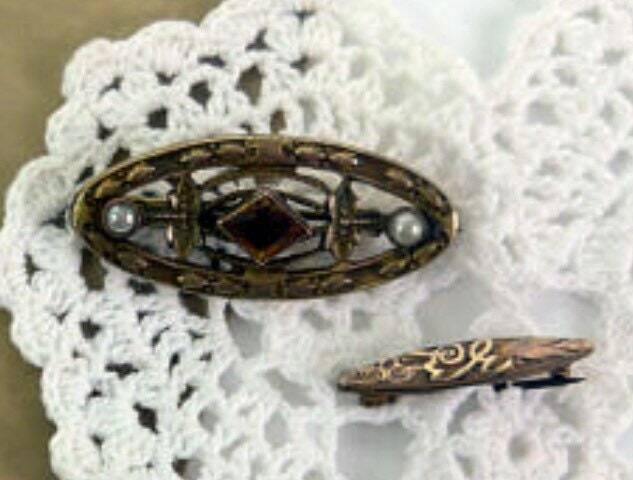 Instant collection of 2 Victorian brooches with one that was probably a baby pin. 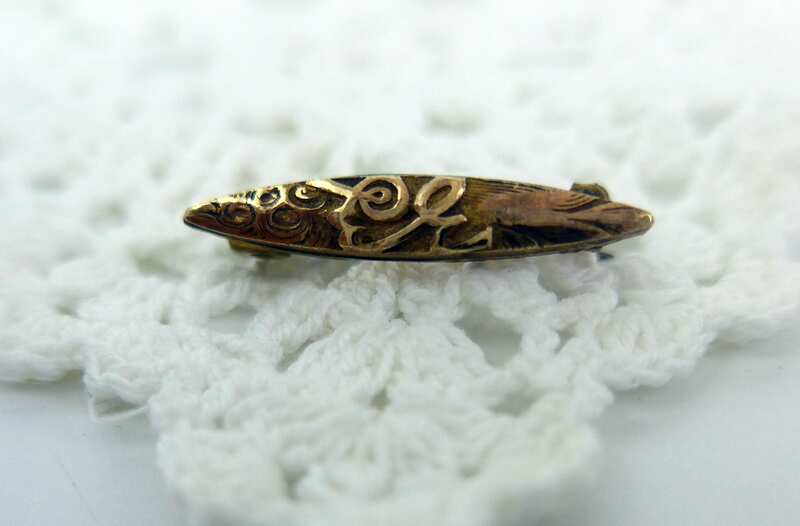 Small pins like this were called beauty or baby pins. Great for anyone who wants to start or expand their collection or to accent a blouse, jacket or scarf with a Victorian flair. 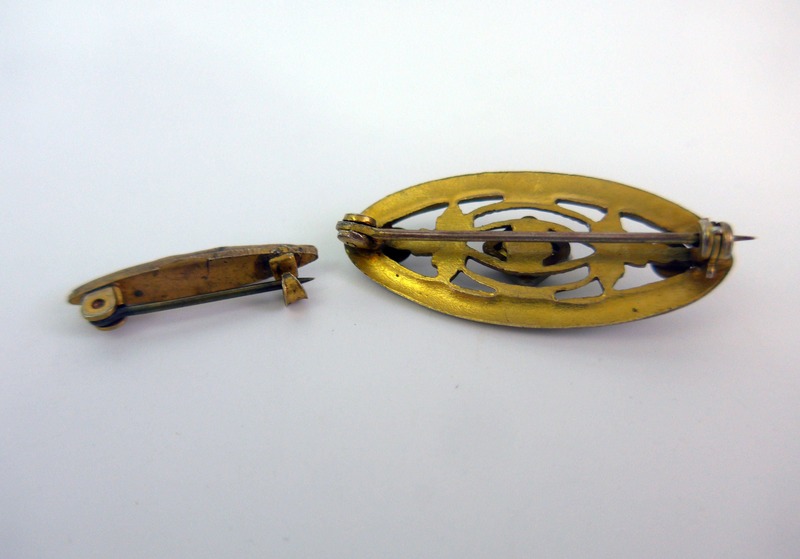 The larger of these two gold tone brooches has a faceted yellow faux stone in the center that has a shape like a parallelogram. On either side of the stone is a three part leaf design. On the end of the leaf design are small faux pearls. 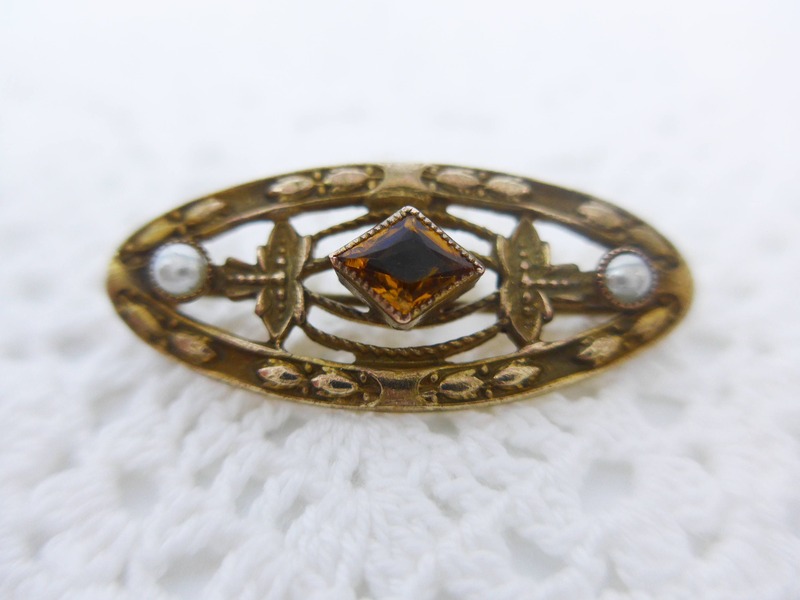 The outer edges of the brooch have a raised design that looks like oval shaped buds with some dots. The back closure has a sliding lock for the pin. Closure works well. 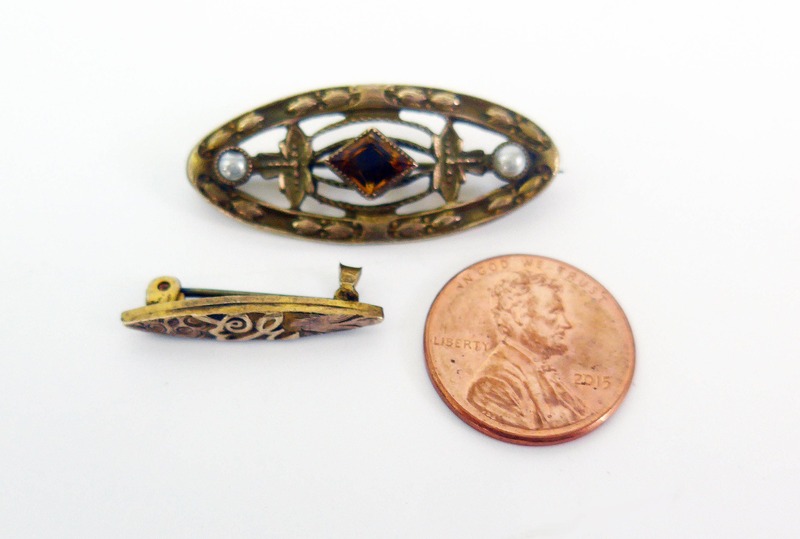 The smaller brooch (or baby pin) features loops, lines and what may be the cursive initials EG in the center - it is hard to tell as they are quite small. The back has an open hook that the pin slides under. Closure works well. 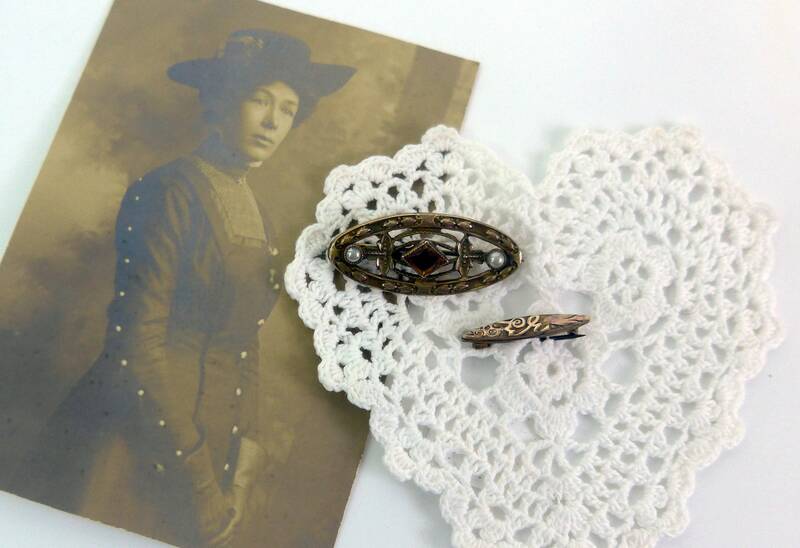 larger brooch - 1 1/2" x 5/8"
smaller brooch - 7/8" x 1/8"
In nice antique condition with patina and wear as would be expected items that are circa 1920s.